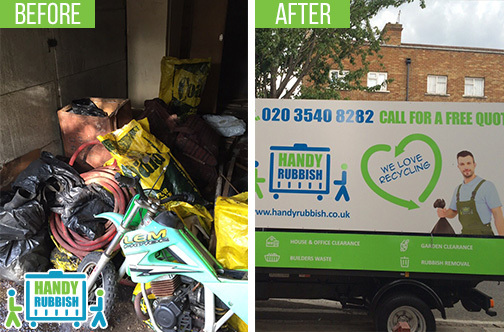 If you’ve got piles of junk in your home or office that you want to get rid of then you should make sure you call 020 3540 8282. Our Bromley waste disposal team are renowned for being the best in the Bromley area and are here to give you a first class service to remember! Trained to work quickly and professionally, our office and house clearance workers can have your boxes, furniture, rubble and garden waste removed in no time at all. So if you don’t want to waste your money on a second-rate firm, remember the Handy Rubbish name. Our brand is synonymous with quality rubbish removal BR1 services at affordable prices and proper time and you will always be satisfied with the assistance you receive. At Handy Rubbish we don’t only offer a selection of Bromley BR1 waste clearance packages, we offer the biggest selection of home and office clearance services around. Designed to meet the changing needs of our customers, our packages are flexible and can be tailored to meet your needs. So if you’re experiencing a clear out of the garage or just getting rid of some old furniture you no longer need, our rubbish clearance Bromley company is definitely able to help. Bromley Waste Removal Services to Remember! As well as offering great garage clearance, furniture removal and comprehensive house clearance packages, our team can also offer excellent builders waste clearance deals. 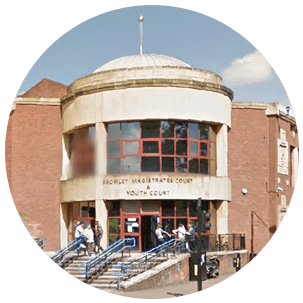 So no matter whether you have junk or rubbish inside or out, our rubbish clearance Bromley teams can clear it right out. If you haven’t got time to call then you can fill in our online enquiry form 24/7 and we’ll send you a quote ASAP. We guarantee that you won’t have to fill in any long forms or endure any hard sales pitch and that our Bromley waste removal deals are better than all the rest! If you’re interested in any of our commercial or domestic clearance packages all you need to do is give us a ring &ndash; 020 3540 8282. Our sales team know everything typical about Bromley waste collection BR1 and can help to organise any large house clearance or small garden waste disposal. In addition to that fact, we can even give you a quick quote over the phone and can book you in for rubbish disposal Bromley BR1 service as soon as it is possible. Their waste disposal crews did more than take out the trash, they helped to dismantle that old, tin shed in the back, and carry it off. I'm going to plant roses there now, come this spring I'll have the prettiest garden in Bromley. Very fast and efficient! The most cost-effective rubbish removal service in Bromley BR1! Bromley is a large residential area that covers the BR1 and BR2 postcode areas. Forming part of the London Borough of Bromley, it is the largest district in southeast London and is one of the city’s major metropolitan centres. Despite this, it has relatively poor transport links and does not have its own tube station or central bus routes. Three train stations can be found here though and include Bromley South, ey North and Shortlands in zone 4 and zone 5 of London’s transport districts. However, due to its poor underground transport links the area is known for being independent and having a suburban middle-class vibe. A large shopping centre is on hand for retail therapy, while a selection of theatres and cinemas can also found for more entertainment. House prices here tend to be below the London average, though there are a number of affluent residential areas around Keston Park, Farnborough Park and Bickley Park. Other notable landmarks include the church of St Peter and St Paul and The Glades shopping centre.